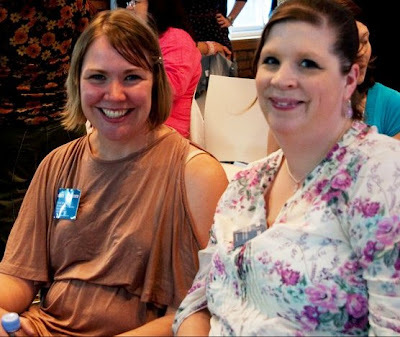 The Vegetarian Experience: Blog Camp Manchester – An eye-opening experience!!! Blog Camp Manchester – An eye-opening experience!!! This week you may have noticed that my blog has had a bit of a redesign. This is mostly due to my visit to Blog Camp Manchester last week. 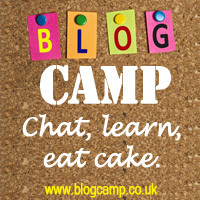 For those who don’t know, Blog Camp is a free event for bloggers, set up by Sally Whittle who created the Tots100 website and the MAD awards, and sponsored by Talk Talk. Blog camp is a place to meet other bloggers, eat yummy food, engage in discussion and listen to brilliant guest speakers who can help you get the most out of your blog. So last week, after getting up having had only 3 hours sleep (thanks smallest child), I boarded the train to Manchester and actually enjoyed two child-free hours put to good use drinking tea, eating a packet of crisps I didn’t have to share and studying for my NCT course. Upon reaching Manchester, I had over an hour to reach the venue. I envisaged a nice leisurely stroll, some breakfast and a chance to mingle. Instead, due to my putting the wrong address into google maps, I managed to end up in Oxford street rather than Oxford road and so a mad dash ensued! Thanks to a kindly bus driver, I made it to the venue just in time. I always find it quite intimidating walking into new situations, especially on my own, and so I was happy and massively relieved to be greeted with a sea of smiling faces upon entering. The lovely Lou who blogs at Lou, Gary, Ethan and Noah introduced herself and we began chatting so at least I felt like I knew someone to start off with. Being an avid user of twitter, it was interesting to put twitter names and blogs to faces and meet people in the real world that I have communicated with online. Many of us spent much of the day tweeting our thoughts about blog camp on twitter using the hash tag so that people could follow along who didn’t attend the event. I now have a burning desire to do this at any meeting I attend, as I really enjoyed the social interaction, although I think it may be frowned upon in some environments! Then we had an interesting presentation from Talk Talk about their new HomeSafe programme which aims to keep the family safe on the internet. 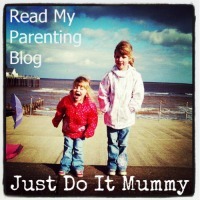 As a mother, internet safety is very relevant to me, even though my children are only young. Listening to some of the tales from other bloggers with teens about what their kids do online filled me with dread. Having a techie for a husband, I know that our kids will be closely monitored, but it was very interesting to hear about the technology that Talk Talk have developed, including blocking website at times of the day, providing parents with chat history and a history of the households activities on the internet – innovative stuff! Right before lunch we had an interesting talk by Daffyd Prichard from Cite. He spoke about good website design and gave tips on improving the design of your blog, and gave constructive advice based on the blogs of some of those present. His talk really inspired me to get going and redesign the look of my blog. Next was lunch! As many of us had early starts, we were all pleased to see the food enter the room. I was very impressed with the vegetarian selection on offer – looks like the Blog Camp organisers thought of everything! For the afternoon session, Phil from Szomszor, Head of digital at Citigate Dewe Rogerson spoke about working effectively with PR’s and brands and building relationships. I was especially interested in hearing what Phil had to say as blogging is new to me and despite working for a PR agency, I still have lots to learn about marketing my blog to PR’s and Brands. After Phil's talk there was a chance for questions and a round up of the day. All to soon it was time to leave with goody bags from Creative Tourist Thanks go to Sally, Tots 100 and Talk Talk for organising a fab day. Do I want my blog to be a hobby or more? After listening to northern bloggers about how many bloggingoop north. I wish I had networked more as I have a tendency to stay silent and stare into my phone rather than putting myself out there. I will definitely be working on that for Cybermummy this weekend. The Parent Blogging community are lovely, I received loads of great tips and recommendations at Blog Camp. If you blog, I would definitely recommend Blog Camp. They are currently planning events in Birmingham, Bristol, London and Brighton. For more info about attending these fantastic free events, see this website. Please do let me know your thoughts on my blog redesign, what you do/don’t like about it, and what sort of things you would like to see featured on The Vegetarian Experience Blog. It was a great event, wasn't it? Great to meet you.